The time is nearing to plant your fruit and vegetables for this year! I cannot wait to grow our own fruits and vegetables again! If you are interested in having a garden, here are a few steps to help you with your upcoming project. 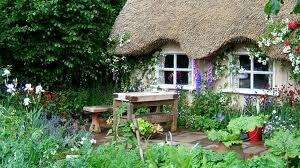 If you haven’t gardened previously, then draw a plan of what you want your garden to look like and have in it. Once you have the specs, figure out how many plants you can have in your space (make sure that you keep in mind spacing). If space is a problem, then make a list of plants you would like to have in your garden and try to include your top plants. Writing down the cost you spend each month on fruit and veggies can help you figure out if it would be worth the effort to start your own garden this year. There is an initial investment in plants, mulch, etc., but the benefits far outweigh the costs if you have a successful garden. Remember that there is a learning curve and do not get discouraged if things don’t work out the way you want the first or even second year. *Don’t forget to check out our website at http://www.TaylorFamilyCompanies.com and friend us on Facebook! Now is the perfect time to plan for your spring garden! There are many perks to planning ahead: you can get everyone’s opinion for your garden, it is a fun family project, and you can save enough to create the garden you really want this spring. The first step in planning your garden is to pick out a location; if you already have one from the year’s past, then check this off your list. When choosing a location keep in mind what types of plants you want to have in your garden – this will help you choose an ideal location for you and your plants. After you have chosen your location, then it is time to get creative. This is the fun part of this process; so don’t hold back and experiment. Try to envision what you want your garden to look like and any decorations you might want to add (examples, a sundial, birdbath, decorative planter, etc). This is a great time to get the family involved in the process. 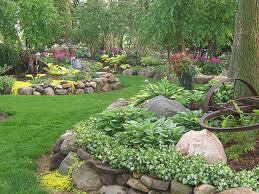 Once you have decided on the plants, design, and placements of your garden then you can move onto creating a list. The list should contain everything you need to create your garden; don’t forget things such as potting soil when creating your list. When you have your list then take it to the store and get prices (you can also look online since many stores won’t have plants out yet to price for the spring). Then the hard part is waiting and saving for your garden. Just remember it will be worth the wait when you and your family see the finished product and know you created it together! *Don’t forget to Friend us on Facebook and check out our website at http://www.TaylorFamilyCompanies.com! What to do with your Poinsettias after the Holidays?. via What to do with your Poinsettias after the Holidays?. Poinsettias are everywhere during the holiday season and are very festive for Christmas, especially with the added sparkles this year! They add extra color and vibrancy to any room, but the question remains what to do with them after the New Year. Do not fret, we will give you the information you need to help you with this decision! 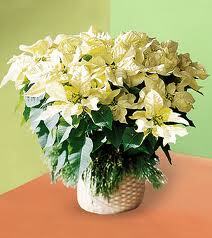 Poinsettias are originally from Mexico. This means that they should be kept indoors during times when frost is expected. They also need to be kept in places where they do not get a lot of sun. They are perfect as house plants and with plenty of water they should do very well. You can keep them indoors until the summer and place them outside in the shade for the summer and when that festive time arrives again next year you will be ready! Now that fall is in full swing, we can look forward to the beautiful display of autumn colors and flowers. Mums make up a large portion of the stunning flowers that can be witnessed at this time of year. 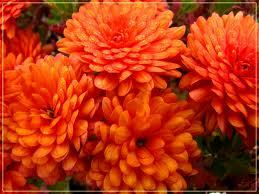 Mums can be found at any local nursery, grocery store or hardware store. There are a variety of different colors to choose. If you want to make a statement, then you should stick with one to two colors and group the like colors together. 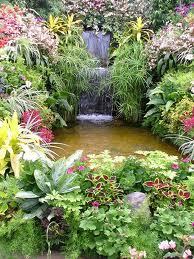 This will be visible from a distance and if you take care of the plants they will grow and become even more striking. Make sure when choosing the location for your mums, to find a well drained area and that they will get plenty of sun light. Some shade will work, but they need sunlight to prosper. Good luck with your gardening and we love pictures as always! Hostas are beautiful addi tions to any garden. If you are looking for a statement then a group of hostas is a perfect way to make it! There are several different types of hostas (around 45). For a more uniform look you can use the same type of hosta, or mix it up and alternate with several different kinds. These beautiful plants do best in partial shade. 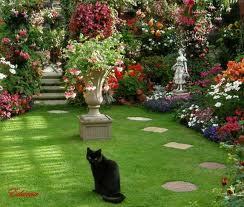 If you take care of them they will flourish and become the object of your garden. When your hostas take off you can divide them for more plants. They can be divided at any time of the year, but August is the best time. Please refer to how to divide a hosta for more information on this topic. Don’t forget to friend us on Facebook and check out our website at http://www.TaylorFamilyCompanies.com! Fall is around the corner. To ensure the success of your garden; you need to start preparing now! To help your garden stay happy and healthy, there are a few steps you can take this fall to make sure that next spring you will have abundant blossoms! Clear any dead spots off of your plants. Your plants still put out energy to these parts and you will help maximize its efficiency by removing those areas. If you want to make new additions to your garden – the time is now! You want to give your plants as much time as possible to establish before the winter. We hope these tips helped and good luck with your gardening! Don’t forget to check out our website at www.taylorfamilycompanies.com and friend us on Facebook!